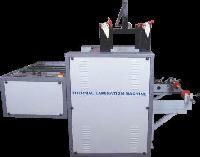 We are a well-known Manufacturer, Exporter and Supplier of Thermal Lamination Machine. The image graph Thermal Lamination Machine has been designed to offer fast and quality lamination at low production cost. Manufactured using cutting edge technology and optimum grade parts and components, the Thermal Lamination Machine is appreciated for its durability, high efficiency, reliable performance and hassle free functioning. 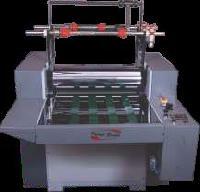 The Thermal Lamination Machine can be availed from us at competitive prices. 210mm Diameter oil filled heat roller. Pneumatic Nip roller with adjustable pressure.